Prior research showed that women with breast cancer benefit from an exercise regimen. 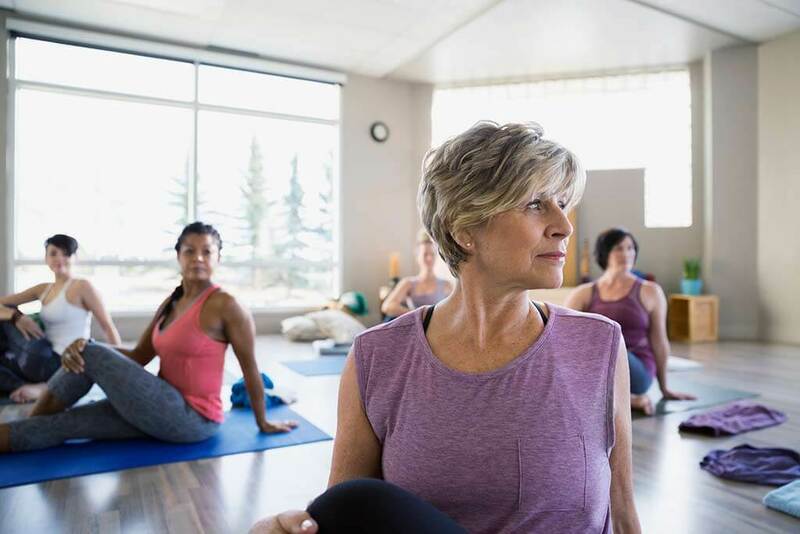 Because people with lung cancer usually have more symptoms, are older, and in worse physical shape than women with breast cancer, researchers believed yoga was a low-impact exercise that patients could perform easily. Additionally, yoga has a strong emphasis on breathing, an important issue for people with lung cancer who often have shortness of breath. All the patients in the study had advanced lung cancers that could not be removed surgically, were receiving radiation therapy to their chest, and most also received chemotherapy. Each patient participated with a family caregiver. The pairs were then randomly assigned to either yoga classes or a waitlist for future yoga instruction (control group). At study enrollment, participants completed a 36-point survey assessing their quality of life. The patients with lung cancer also completed a 6-minute walking test. Follow-up assessment of the pairs was done when radiation therapy for the patients ended and then again 3 months later. This yoga program emphasized three key areas: physical postures, breathing exercises, and meditation. The design of the study to include 15 sessions of yoga lasting 60 minutes each was based on outcomes from earlier research on yoga in people with breast cancer in Bangalore, India, and confirmed by larger trials in the United States. Twenty-six pairs completed all assessments, and the mean number of yoga sessions completed was 12. Slightly more than half of the patients were men with a mean age in their 60s, while two-thirds of the caregivers were women whose mean age was nearly 60. When comparing the yoga pairs with the control waitlist pairs, the researchers found that the patients who practiced yoga had significantly better physical function as assessed by the 6-minute walking test (a score of 478 vs. 402 for yoga vs. waitlist enrollees), better stamina to perform work or daily activities, and improved mental health, while the caregivers who received yoga instruction had improvements in fatigue and stamina while working. “This was a feasibility study, so it is very hard to tease out the specific effects of our intervention, but that will be a next step in our research,” said Dr. Milbury. Patients in the study reported that it was good to be away from their cancer experience during the yoga sessions, and the patients and caregivers both noted that they enjoyed learning something new together. “We were thrilled to hear that many of our pairs said they would continue to do yoga on their own,” concluded Dr. Milbury.